They all chose Canada as the place to raise their families. They all lost their lives for being in their place of worship at the wrong time. The loved ones of the six victims of the Quebec City mosque shooting share their stories. On March 28, 2018, Alexandre Bissonnette pleaded guilty to all 12 charges against him, reversing his earlier decision to enter a not-guilty plea. Below are profiles of the victims published earlier this year on the one-year anniversary of the shooting. 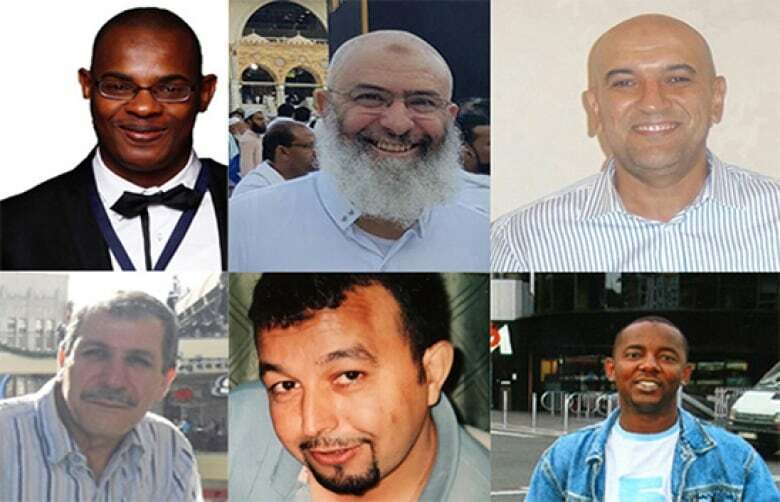 The six men shot to death by a lone gunman who walked into a Quebec City mosque on Jan. 29, 2017 had all made the choice to trade one continent for another. 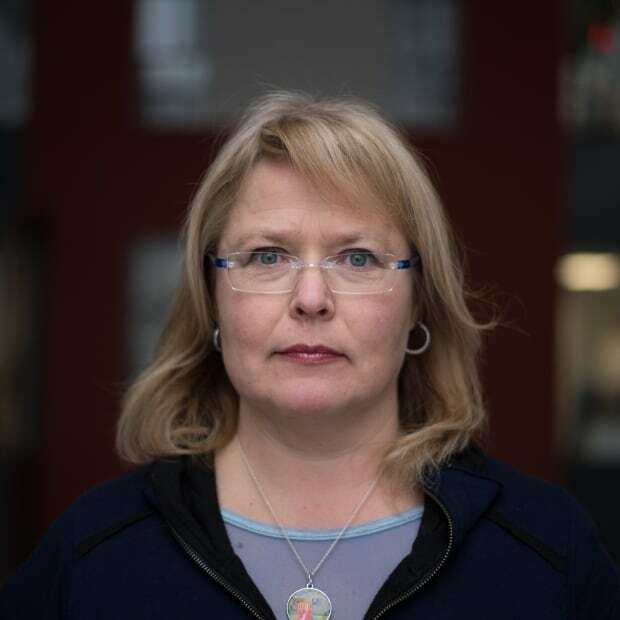 They'd left behind friends, relatives and familiarity to make new lives in Canada. All were husbands and fathers: 17 children lost a parent. They were educated men who had come to Quebec City seeking opportunity, nature, peace and democracy. Their last moments were spent in their place of worship, surrounded by friends and people who cherished them. Their families now cling to photographs, recorded voicemail messages and memories. For each family, the death of their loved one is still a fresh wound. Here are the photographs the friends and families of the six victims agreed to share, along with some of the memories of those who knew them best. From New York City, Thierno Barry talks about his older brother, in a soft voice that's reduced to a hush when he speaks about how much he loved Ibrahima. "My heart is so empty now," said Barry, who has struggled to accept his brother's death — still expecting phone calls from him on weekends. "I miss his kindness, his support; he was always there if I needed someone to talk to. I'm by myself now." Thierno Barry said Ibrahima studied and worked hard to become a computer analyst, eventually hired by Quebec's revenue agency. He was the "hope of the family" back in their home village of Timbo, in the centre of Guinea. Ibrahima was considered the "calm, careful" one of the six siblings. He practised karate and taught it to his younger brothers, but Thierno said Ibrahima hated violence. After studying in Lille, France, Ibrahima moved to Quebec City and told his brother he was staying put, that it was his "last stop." "People were kind to him, giving his family furniture, coming to say hello and chatting. He told me he regretted not moving earlier," said Thierno Barry. Thierno Barry last saw his brother when Ibrahima visited him in New York City in 2010. He said seeing the landmarks they visited together now make him stop in his tracks, and he has to hold back his tears. Larbi Yahia's memories of Université Laval professor Khaled Belkacemi are steeped in the daily activities they shared as friends, first in high school in Algeria and then again, 40 years later, in Quebec City. "He was a real professional, when it comes to his projects or the university," Yahia told CBC. "But in our personal lives, you cannot imagine the number of jokes we made each day." He and Belkacemi worked out daily at a gym in their neighbourhood. They gardened together and helped each other with minor home renovations. On weekends, they went walking in a nearby forest, toward a beach they'd renamed "Khaled beach," and then "Beaver beach." ​"The gunman, if he knew Khaled before, or he knew those victims before, he would have never never done this," said Yahia. Yahia said his friend was also passionate about soccer. They were fans of Real Madrid. "If Real Madrid scored, we would shout and make noise; it was unbelievable." Khaled Belkacemi's son, Amir, told Radio-Canada his father had decided to leave Algeria after seeing his colleagues gunned down in front of him in an attack at the university where he was working in 1994. He didn't want his children to grow up in such an environment. "The irony of this is grotesque. We left because of this, and we found this here," said Belkacemi. Belkacemi had turned 60 on Jan. 18, 2017. "They came to live in peace," said Zahra Boukersi, the aunt of Abdelkrim Hassane's wife. She said Hassane became like a son to her after she welcomed the family to Quebec in 2010. Boukersi said the couple left Algeria to provide a better future for their children, who he loved to spoil. "He was a real papa-gâteau; he loved his girls that much. When [his wife] got pregnant with a third one, I thought maybe he'd be mad at her, but no, he was very happy to have another girl." Boukersi said driving east on Highway 20 from Montreal to visit her niece and the girls in Quebec City has been difficult since Hassane's death. "Not seeing him there among us, with the kids … we miss his presence, and we miss his love. His smile. For me, it's very hard to see his pictures," said Boukersi. Hassane's wife kept his cellphone, and she hasn't changed the message people hear when the voicemail picks up. "Sometimes when I call and I hear his voice … I feel, really, that he is still alive. But he's not. He's gone, and we miss everything about him." In the hours following the massacre at the mosque, one of the first names to emerge from the chaos was that of Azzeddine Soufiane. One after the other, people described how instrumental Soufiane had been to the Muslim community, helping families when they first arrived in Quebec City. His friends said he extended this generosity to anyone who needed it — handing out sandwiches from his grocery store to homeless people in the neighbourhood, or simply taking the time to listen to people's troubles. Several witnesses described how, even in his final moments, he tried to help others, throwing himself on the shooter. For his 14-year-old daughter Zineb, Soufiane was, above all, a father she could always count on. "I'm a very curious girl, and my father was there to answer all of my questions," she said. Now, "sometimes I have questions and I don't know who to turn to." Zineb said the two were close, and the past year has been hard. She often hung out with him at the store, enjoying the steady flow of people from Quebec's small Muslim community. She said everybody knew him. "Every night I miss him and every day," said Zineb. She's met with other children who lost their fathers and says it's been good to be with people who are living through the same thing. "They're the only ones who really know what we're feeling," said Zineb. In fact, she changed schools because she didn't want to be treated any differently because of her father's death, and she didn't want anyone's pity. Soufiane's wife, Najat Naanaa, was also his business partner in the Boucherie Assalam. She sold the store after he died. "There were so many memories," she said. "I couldn't do it alone. It was a two-person venture, and I also wanted to be closer to my children." Profession: Pharmacy technician, night shift worker at Exceldor poultry plant in St-Anselme, Que. Tarek Dhouibi met Aboubaker Thabti in a lawyer's office in Tunisia, as both sought help navigating the Byzantine world of Canadian immigration. Within months, they were the closest of friends. "We had a dream to come to Canada, and we realized our dream together," said Dhouibi. While still in Tunisia, Thabti was always inviting Dhouibi over, for supper, for Ramadan, because Dhouibi was single. Dhouibi said he brought that same generous spirit to Canada. "He always helped newcomers, to get their first apartment, their first car, helped them move, helped with their papers. He gave all his time to help." Dhouibi said Thabti was a devoted family man: he can hardly remember moments alone with his friend because Thabti's wife and two children were always there. "He worked by night. He slept a few hours a day, and the rest of the time, he had to take care of his family." Returning to the mosque where he last spoke to his friend has been hard for Dhouibi. Thabti would always stand next to the doorway to see everyone out after prayers. "That's the way he lost his life," says Dhouibi. "He was standing next to the door, waiting for people to leave." ​In Aissatou Baldé's eyes, her uncle was social magnet: his friends' friends were naturally drawn to him, creating an ever-widening social circle. This was due to his smile, but also the kind of man he was: "generous, loyal, patient, welcoming, kind and efficient," she said. Baldé took the stage Sunday in front of hundreds of people at an interfaith ceremony in Quebec City to share her memories of her uncle. He was from the Labé region of Guinea, which borders Senegal. He studied administration, then accounting. He worked for a cosmetics company for five years before he was killed, at age 42. Baldé said he prized education, something Fatou Kiné Cissé, a friend of Barry's, can confirm. Kiné Cissé told CBC that Barry wanted his wife to pursue her education past high school. "We are taught to be good wives [in Africa] but not necessarily to be good participants in the economy and in social life and politics," said Kiné Cissé. Kiné Cissé said Barry was intent on giving back to his community in Guinea and had started to raise money to build two wells. "The best thing we can do to honour his memory is to keep working on that project," said Kiné Cissé. This story is part of CBC's in-depth look at the aftermath of the shooting at the mosque in Quebec City one year ago. CBC will also have special coverage of the commemorative events on Monday, Jan. 29, including live radio, TV and online broadcasts.